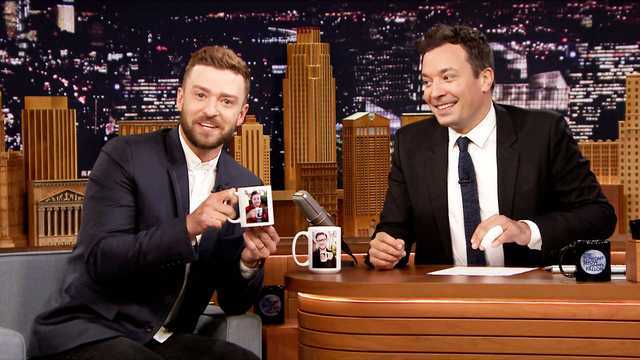 Jimmy Fallon and Justin Timberlake are taking their bromance to the next level. Last fall, when Justin appeared on The Tonight Show, the guys tested their relationship with a game of the Best Friends Challenge. They each answered questions about the other to see how much they’re on the same page. One of those questions, interestingly, asked what their preferred mode of transportation is when they hang out and Justin seemed to know that Jimmy would answer tandem bicycle. Amazingly, they had a perfect match. How is that even possible? Jimmy explained that his wife bought him a tandem bike, but that they never ride it. Jimmy and Justin, however, laughed about how they’ve ridden it together. Justin even pitched an idea of the two getting up to some adventures while riding the bike together, tentatively called Two Bros on a Tandem Bike…or Bro Biking. Well, that whole tandem biking dream came true when the besties were spotted Memorial Day weekend, tooling around the Hamptons on a bike built for two!